Editor's note: Leon Aron is resident scholar and director of Russian Studies at the American Enterprise Institute. The views expressed are his own. To understand what motivates Russian President Vladimir Putin in the Ukrainian crisis and how he will proceed, we have to recall two key things about his strategy and his tactics. First, Russian foreign policy – whether under Brezhnev, Yeltsin, Putin or anyone after him – is informed by three imperatives: Russia as a nuclear superpower, Russia as the world’s great power, and Russia as the central power in the post-Soviet geopolitical space. And a power that is political, economic, cultural, diplomatic and most certainly military. What differs from one Russian political regime to another is interpretation and implementation, that is, the policies that support these objectives. 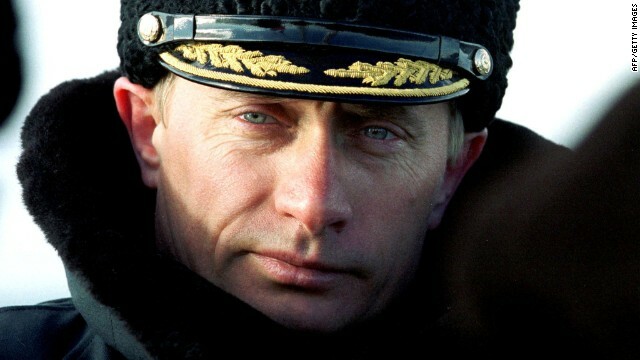 Putin’s have been far more assertive and at times riskier than those of his predecessors. The nuclear “superpowership” has been translated into a vehement opposition to missile defense in Europe. Russia as a great power has been defined largely in opposition to the U.S. and the West in general. And the centrality of Russia in the post-Soviet space has been re-interpreted as dominance and hegemony. Ukraine’s European breakout – caused by Putin’s first major political blunder in openly and heavy handedly betting on ousted Ukrainian President Viktor Yanukovych, and thus escalating the issue from corruption and thievery to Ukraine’s sovereignty – is hugely important to Putin’s Russia. Why? Because it has dealt a very heavy, perhaps fatal, blow to not one but two elements of the Russian geostrategic triad as defined by Putin: to the "great power" pillar (the West has won in the Ukraine! ), and to Russia's hegemony in the post-Soviet space. From Moscow’s point of view, the double whammy must be mitigated – or better yet reversed – before the consequences become irrevocable and the geopolitical map of Eurasia permanently redrawn. As a result, for as long as the eye can see, containment, de-stabilization and, if possible, derailment of the Europe-bound Ukraine will be by far the most important objective of Russian foreign (as well domestic) policy. As to the tactics, in his effectively 14 years in power, Putin has been very lucky both in his domestic and foreign endeavors, in part because of objective factors (when he took over as acting president in 1999, a barrel of crude averaged around $17 a barrel) and in large measure because his opponents, at home and abroad, were politically or economically handicapped. As a result, Putin has trusted his luck and his smarts while counting on his opponents' weaknesses. This means he has operated in accordance with Napoleon’s principle: On s’engage and puis on voit, which I would translate as “First get into a fight, and then decides what to do." And that is how he has proceeded thus far, gradually escalating the pressure on Ukraine, seeing what works and what does not, pausing and looking over his shoulder at the response from the West, primarily the U.S. From the expression of concern for the safety of ethnic Russians in Ukraine (which proved ineffective), to the questioning of the legitimacy of the Ukrainian government, to the introduction of forces in the Crimea, to his “request” to the Federation Council of the Russian parliament for the “use” of troops in Ukraine. In accordance with his tactical habits, Putin will likely stop now and assess the reaction. A full-scale invasion and occupation of Crimea is therefore likely to be next – unless the response from the “West” proves effective. What will that response be? We know (and so surely does Putin) that the U.S. is not going to go to war over Ukraine. Yet even with the military option off the table, the U.S. still has quite a few diplomatic and economic tools at its disposal, to be deployed publicly and, most crucially, privately. The U.S. and its allies also must keep in mind that most, if not all, of these measures are aimed not only at Putin but at the elites around him and at the Russian public at large. Dominant though he is, Putin is not Stalin or Brezhnev. Russia is not the Soviet Union, the Iron Curtain is gone – the internet exists and public opinion matters. The West’s steps are not difficult to divine. To begin, in the public domain, separate statements and phone calls to Putin by U.S. allies would be replaced by a joint statement from the heads of state of NATO and EU countries warning about the “consequences” of a Russian invasion of Ukraine. Such a statement should stress that Russia risks isolating itself from the world – economically, politically, culturally – with disastrous results for the people of the Russian Federation. Alongside these measures, the U.S. and its allies might also provide – publicly and in private – a few face-saving devices for Russia, such as guarantees that the Russian-speaking Ukrainians will be free from harassment or discrimination of any kind; an introduction of U.N. peacemaking forces in Crimea to protect the political rights of all Crimeans, and the reaffirmation of the pre-existing “special status” of Crimea within Ukraine, as well as the continuation of the pre-existing Russian sovereignty of the leased naval base in Sevastopol. Given the size of the hole that the Ukrainian revolution has torn in the fabric of Russia’s geopolitics, these measures may not stop Russia from attempting to reverse the crisis. But they will certainly convey the increasing costs of the course in which the Kremlin seems to be embarking, and possibly provide a way out without losing face. « Previous entryWhy is Russia moving so fast? I think the Russian Federation forces stop in the Crimea and don't invade Eastern Ukraine, Putin can claim to be securing his Black Sea Fleet. Russia has survived it post Cold War economic collapse and is rebuilding. The West has managed to put off our Day of Reckoning with easy credit and fiat money but you can't raise debt ceilings forever. Sebastopol is the major warm water base of the Russian Navy. If Putin is patient I believe he will gain that treasure denied Russian foreign policy by the Anglo Americans since the Great Game: Constantinople. 1. What does the issue of role of non-use of UN Peacekeepers, why have they not been deployed. Iraq-Afghanistan paired down to only us (USA). 3. Recently, Putin showed his cards by threatening to veto such actions above. There is opposition to Putin but this exists exclusively within the bigger cities predominantly among the ‘novie russkie’, middle classes and students who will most likely end up living in Europe or the US anyway…basically anyone with money who therefore stands to loose under Putin and his popularist party. The Russian population, too, is by nature diasporic and as a result the majority of people live in the countryside: these people are most assuredly NOT members of the resistance movement but rather either fervent supporters of Putin http://tinyurl.com/pyywrtj , communists, or far-right nutters supporting somebody like zhirinovsky for instance.